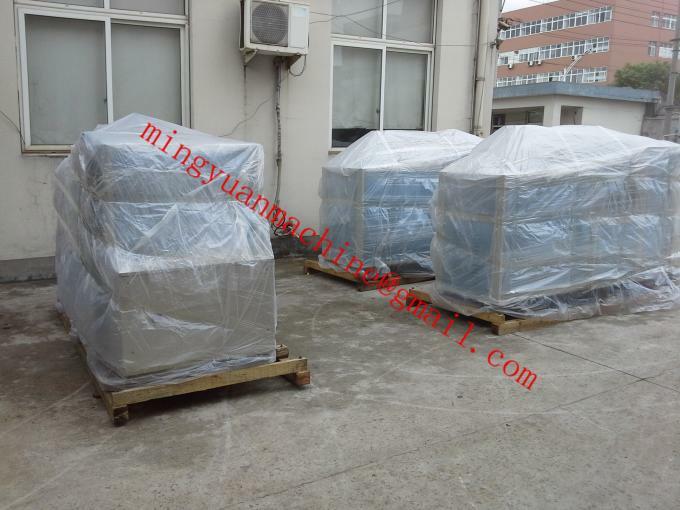 1 The CD and service&support guide booklet will be sent with machine to guide the installation process works,adjust the whole machine,production,avoid or solve the problem which the buyer will face. 3. We can dispatch technologists to buyer’s factory,guiding installation,adjustment for a period,the buyer in charge of the salary, traffic fee, boarding and lodging, communication. 3, Double Sides PE Coated Paper = Two sides PE Coated Paper: means: both sides of the paper are coated with PE film. 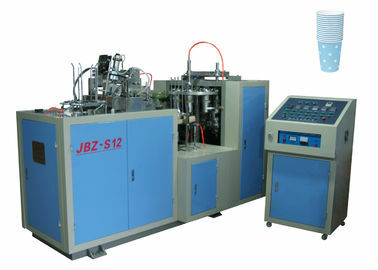 Paper cups produced by JBZ-H12 single PE coated paper cup machine can be used for tea, coffee, milk, ice cream, juice and water. It is an economical and classical paper cup forming machine suitable for making cups with 2.5 to 12 oz. If customers require bigger cups, our model JBZ-H16 or JBZ-S22 will be your best choice. 2. Slitting : Use Slitter slitting PE Coated Rolling Paper to [ sheet paper(make cup body) ] and [ cup-bottom rolling paper ]. 5. Forming Paper Cups : Use Paper Cup Forming Machine or Paper Bowl Forming Machine auto make paper cups,paper bowls. One worker is enough for forming machine, only need operator put the cup-fan-wall body to the entrance and the rolling-bottom to the bottom entrance, and then take the finished cups out. 6. Packaging : Pack the finished paper cups in plastic bags ,and then bags to cardboard box. Q1: What's payment terms ,trade terms you accept ? Usually we appreciate T/T 30% deposit , then 70% balance is paid before shipment , we usually offer FOB Ningbo price .but we also accept other way like L/C , western union ,and do CFR&CIF etc. Q2. Where I can get the raw material? solution3:buy the flexo printing machine and die cutting machine to print and cut by yourself . if you are new in this field ,i suggest you'd better to adopt solution 1 or 2 when you are in first stage. Q3. Does it easy to operate and what can i do if it doesn't work? First ,our machine is stable and easy to operate by one worker ,what you do is just learn some basic thing like wet the paper cup fan , lubricating the moving parts regularly .And we will sent you video ,we suggest you to come to visit our factory to learn more thing by yourself for free , and if there is something goes wrong , you can call us ,video-chat ,email us .And we will give solutions within 24 hrs .Our engineer also can be distributed to overseas as you required.